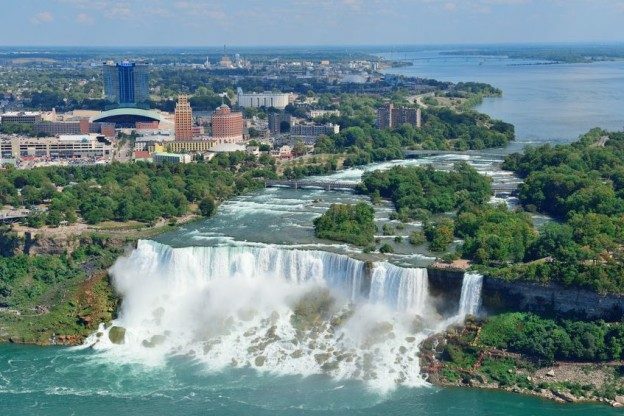 There may be no better time to visit the Niagara region than in the springtime. The trees are in full bloom and the temperatures are very mild, but do you really need any more reasons to spend time in the area? There are plenty of things to see and do in the Niagara region, so make sure to come on out and enjoy spring here! This home and garden show is unique to the region as it showcases what are sure to be the must-haves for this summer’s balconies and outdoor living. This is your chance to get some great ideas about how to finally landscape your backyard or how to properly install your own water features, as well as to talk directly to the experts who can answer your questions about any and all of your landscape concerns. In addition to landscaping, there will be seminars on proper growing techniques for a variety of garden plants and flowers as well as a plant sale, which should allow you to get a head start on your garden this spring. There will be activities for the whole family as well as a kid’s zone. Be sure to check out all of the fun at the Niagara Home and Garden Show. For more information, please visit www.niagarahomeandgardenshow.ca. After you have seen some of the unique ideas for both the inside and outside of your home, be sure to also look at some of the Niagara Homes real estate that boasts some of these great garden and home ideas, and see how these ideas have been applied to real-life settings. A visit to the Niagara region, home to some of the finest wines in Canada and perhaps even the world, would not be complete without visiting some of the wineries that surround the town. You will not want to miss your opportunity to see where these wines come from and how they are prepared. Even though the physical distance from New Orleans is quite large, the spirit of Mardi Gras is alive and well in Niagara: come out for a Cajun-style celebration to help beat the winter blues at Reif Estate Winery. For more information, contact the Niagara tourism branch or visit www.niagaraonthelake.com. This winery is also hosting various wine tastings throughout the month which feature some of their rare and award winning wines. Be sure to be part of this unique opportunity. Once you have enjoyed some of the region’s finest wines, make sure to stroll through the picturesque town, view the spectacular Niagara homes, and perhaps enjoy some of the finest local culinary restaurants in all of Ontario. Regardless of how you choose to spend your time in here, you cannot go wrong. So come on out and enjoy spring Niagara-style! We hope to see you soon! This entry was posted in Blog, NOTL Realty, Uncategorized on March 22, 2016 by Kevin Stokes.